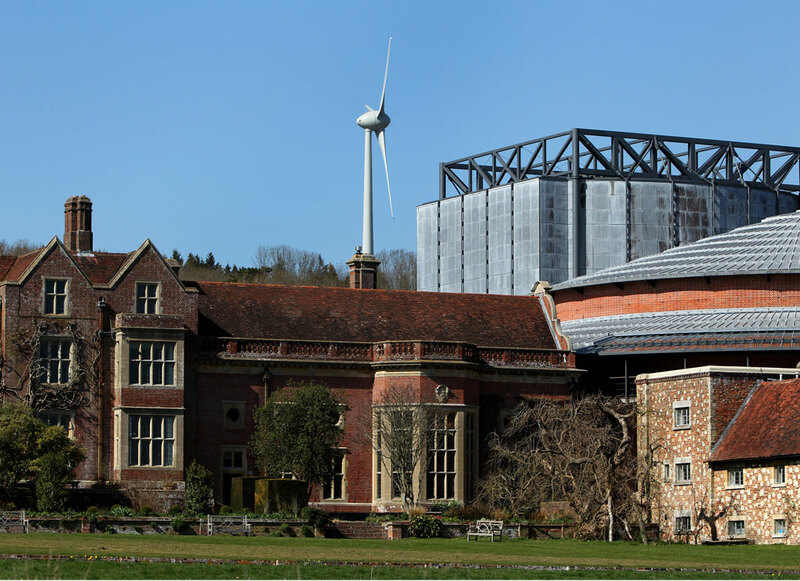 For someone interested in opera, I’m exceedingly lucky to live ten minutes away from the always interesting and often inspired opera house at Glyndebourne. It’s an eccentric and maybe a rather British thing to have such a thriving institution set in the middle of the Sussex countryside but, that’s just what it has been since 1934. It’s still thriving too if my trip down the road this week is anything to go by. I was off for the first British production of Italian composer Gaetano Donizetti’s 1838 opera Poliuto. Us Italian opera fans are very patient and I’m certain the 177 year wait was well worth it. 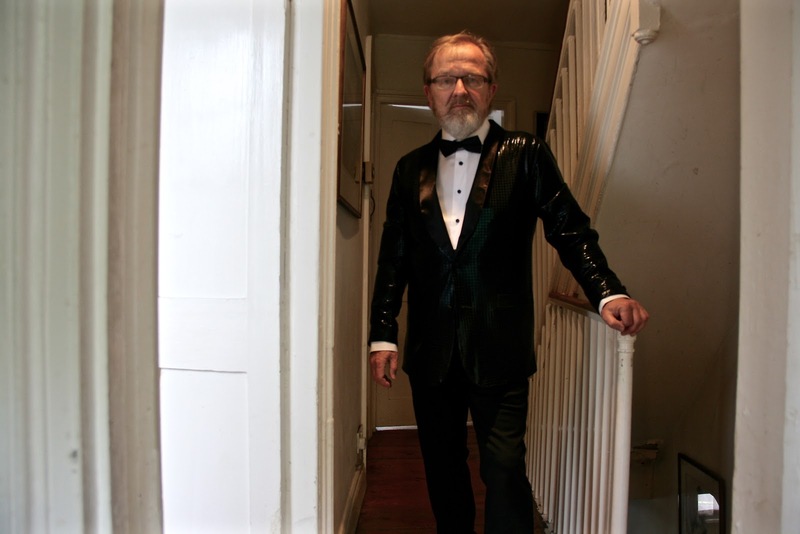 It is still rather strange, I guess, to get all poshed up for a night at the opera these days especially if you’re heading just a few miles down the road to an opera house surrounded by sheep, cattle and the glorious South Downs. Lovely it is too – apart from the hideous windmill of course, a blot on the landscape for miles around but let’s not dwell on that. 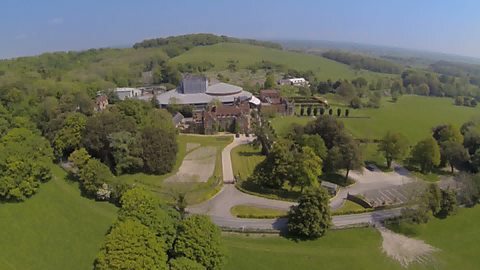 Glyndebourne is generally a good thing and it would be missed, just like the BBC and country dancing would be, if it were ever to cease. It isn’t perfect of course, nothing is. 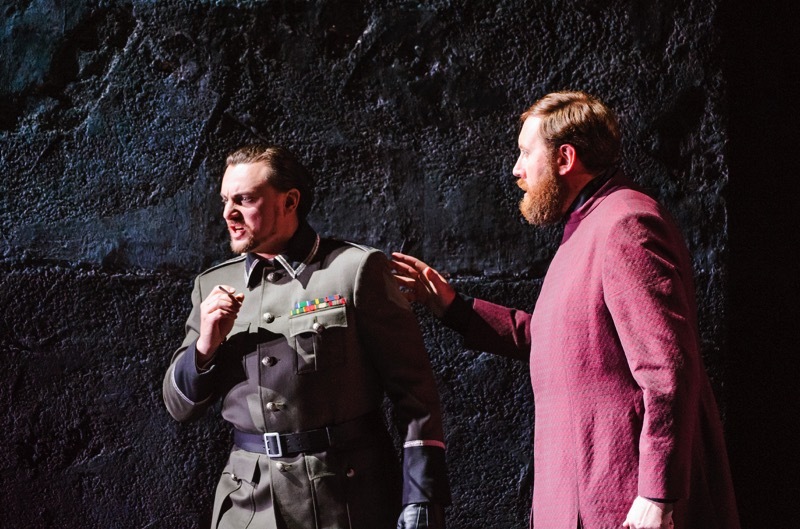 It has found its way onto the social calendar and customarily draws well-healed philistines down from London to savour the atmosphere and, often, to endure the operas. If you can endure the socialites and their irritatingly ignorant comments, then the rest is all joy. 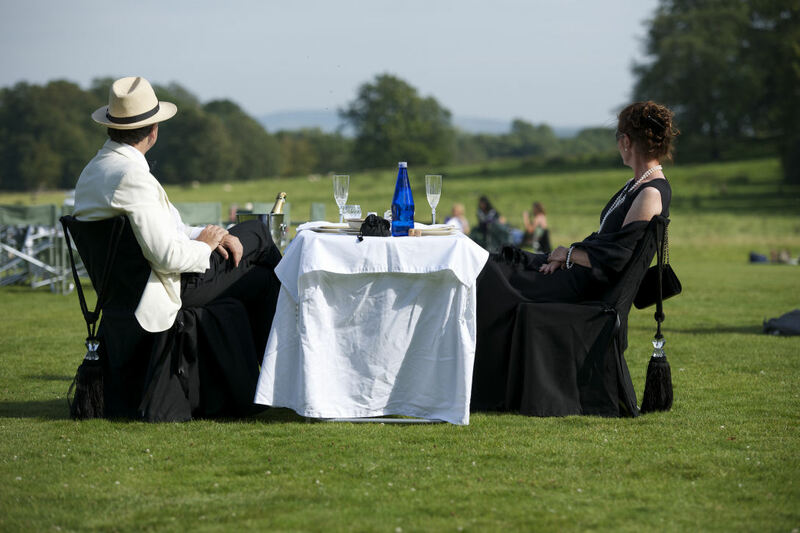 There’s a tradition here of having an hour and a half interval where dressed-up folk (like these in the photograph below) picnic outside on, mostly, lovely summer days. I went on Tuesday on a blustery and disappointingly chilly evening but, in the spirit of endurance, I still ate alfresco and enjoyed it. I went with an old school friend, Jeremy, whom I’ve known since my very first experience of live opera in general and Donizetti and Glyndebourne in particular. My first visit to Glyndebourne was on a school trip from down the road in Brighton. We were attending a dress rehearsal of Donizetti’s great opera Anna Bolena. It was love at first sight. My friend Jeremy says that I was a peculiar schoolboy having such an obsession for Italian opera. I suspect he’s right but ever since those early days, I’ve wanted to see many of these less produced Donizetti operas. 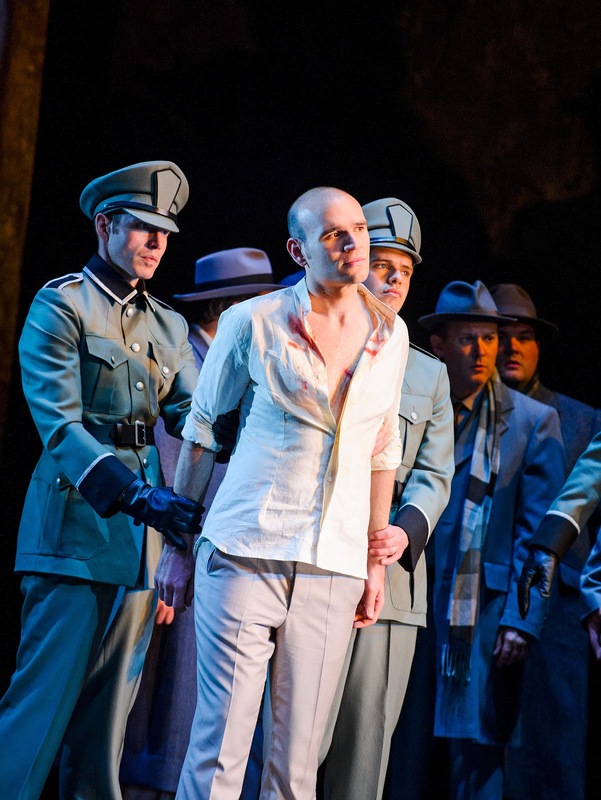 I wanted to see Poliuto in particular because the main role was for the tenor rather than the more usual soprano because Donizetti was experimenting with the new style of tenor singing that encouraged a new fashion for tenors to wow us all with forcefully powerful high notes sung full voice. I wasn’t disappointed on Tuesday night because the tenor was the sensational new kid on the block, American Michael Fabiano, who had all of the notes and most of the style for this ferociously difficult part. He was Poliuto (Saint Polyeuctus), a Christian convert in Armenia around 250 AD who was persecuted and then martyred for refusing to abandon his religion. Donizetti and his writer, Salvadore Cammarano, did a sterling job of squeezing this tale of religious fervour and romantic passion into the well-worn confines of early 19th Century Italian opera without losing either the fervour, the romantic ardour or the drama. It was too much though for the Naples authorities who banned it for showing a Christian martyrdom. That postponement began a long and troubled history of the piece on the stage and partly explains the long delay before this its British premiere. 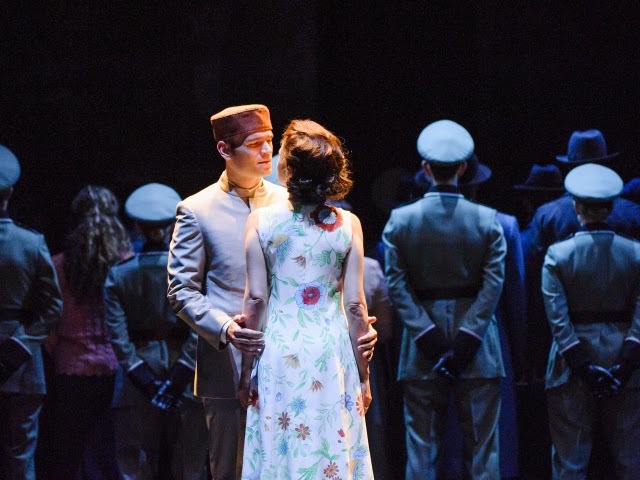 Michael Fabiano (Poliuto) and Ana Maria Martinez (Paolina) – Christian martyrs in the making. In those days, singers and audiences expected operas to supply them with a series of double arias for each of the principal characters. The first one, slow, was usually about happiness or unhappiness in love and was then followed by a minor character coming on stage with dramatic news, either good or bad, which then inspired a fast aria (with a galloping rhythm that led to the name Cabaletta) which was decorated with many virtuoso runs and high notes. These were interspersed with short choruses (always terrific here at Glyndebourne) and the acts generally ended with all the principals singing together in an ensemble. 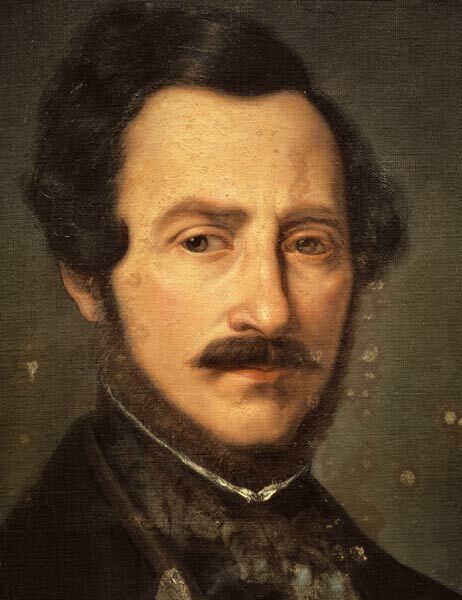 Donizetti tinkered around the edges of these traditions to brilliant effect and supplied audiences with some of the most powerful works for the operatic stage before the arrival of Giuseppe Verdi whose debt to Donizetti is evident in the dramatic orchestral score with its dark writing for the brass and woodwind. 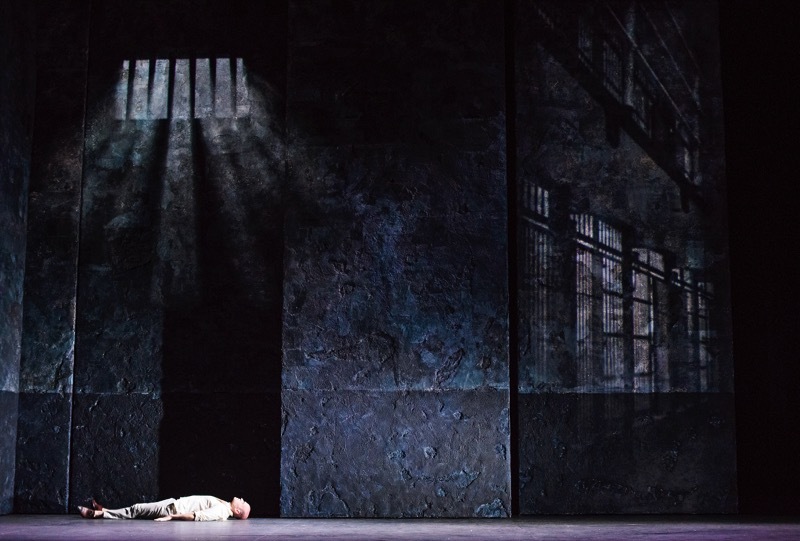 Poliuto is a dark and menacing work about repression and revelation which also manages to delight with its lyricism. The London Philharmonic Orchestra was kept to Donizetti’s ever changing sound world and exciting in the tightly sprung rhythms maintained by conductor Enrique Mazzola. Poliuto (Michael Fabiano) is arrested for being a Christian. 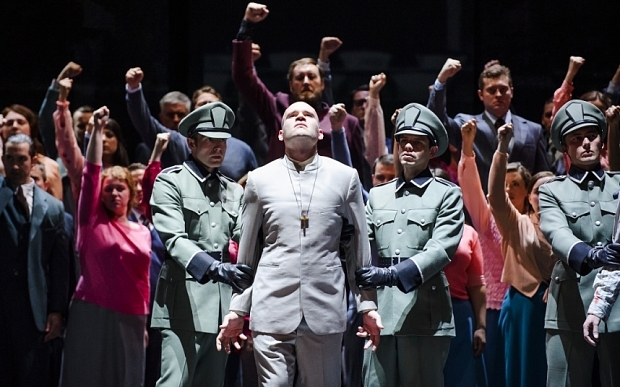 The Glyndebourne production, sadly, was a dull affair, yet another hackneyed opera update set in a non-specific 20th Century totalitarian regime with very little theatrical flair by the French director Mariame Clément. It looked boring too with those portable grey walls and the intermittent slideshow but, enough of that because it was thrillingly cast with not just a brilliant young tenor in the lead role but with another star-in-the-making, the stylish Russian baritone Igor Golovatenko who was as good at beautiful legato singing as he was at raising the roof with his powerful high baritone. He will soon be a star. The Puerto Rican soprano Ana Maria Martinez sang Poliuto’s troubled wife Paolina with an impressively powerful middle and bottom register but disappointed at the very top of her voice with notes that never quite ‘pinged.’ This is perfectionist criticism however because we were lucky to hear this role taken by someone who had all the notes and also the appropriate vocal technique. In the last act duet there were a few glorious breakthrough moments at the top of the voice that made me wonder whether we haven’t heard the best of her yet. It was however a night for the two male leads with Michael Fabiano making apparent light work of the tenor role which demands not only forceful high notes (magnificent here) but also a tender lyricism which was also well within this fine singer’s command. There were times when, ungenerously, I thought he could’ve varied his tone more to Donizetti’s changes of mood but I know that I’m unlikely to ever hear this role sung so well again in my lifetime. Mr Fabiano is still a newcomer to the top ranks of international opera but, if he looks after his voice, I can see no reason why he shouldn’t be one of the great tenors of his generation. I hope to hear a lot more of him. 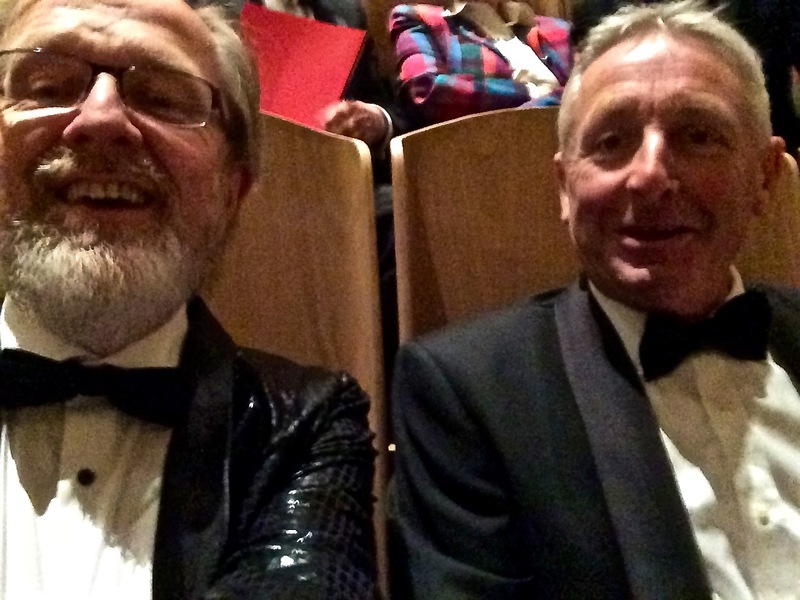 My friend Jeremy enjoyed it too and, as for me, I realised that my schoolboy enthusiasm for Donizetti is far from quenched. Keep these Donizetti rarities coming, please, Glyndebourne.